If a leaked game cover is to be believed, Red Dead Redemption 2 will be shipping on two discs. I haven't seen any other instances of this generation's console titles needing more than one disc, thanks mostly to the use of dual-layer Blu-ray discs on both Xbox and PlayStation. Each disc can hold up to 50GB of data, which has been more than enough so far, but Red Dead's need for 105GB of HDD space seems to have killed that streak. 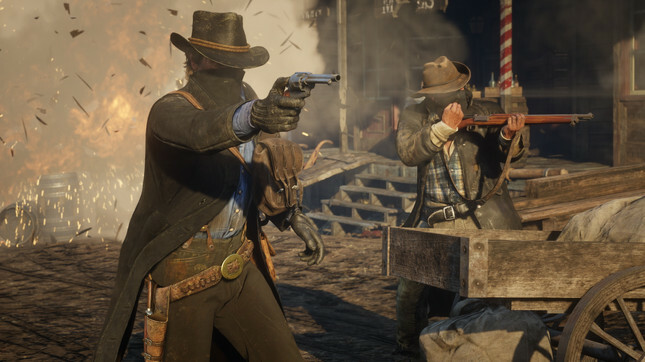 The massive install would also explain why Rockstar is giving digital customers a whole week to download their copy in the leadin to launch next Friday.